There will be no meeting this month because of Easter. We will reconvene in May to discuss the impact of Messers Crabbe and Cowper on Jane Austen and her writing. Among the British authors whose works were read by British soldiers in the trenches in World War 1 was Jane Austen. Her novels were included in book boxes supplied to the troops by British and American services for readers who sought books of strong domestic interest as well as other tales of adventure and comedy. Portable sized books were distributed to troops – to the extent that Jane Austen’s books were in short supply during wartime. Further, it is argued that reading Austen in the Great War served a political objective of reinforcing through her writing that England and its way of life, its decent codes of behaviour and its calm, ordered manner of existence was worth fighting for. It is not unexpected that intellectuals caught up in the conflict would have chosen to read Austen. She was perhaps seen as a grave intellectual voice speaking from the eighteenth century providing solace from reality. Intellectuals such Siegfried Sassoon and R W Chapman were thought to have chosen to take their own copies of her novels to war with them. David Owen sees a propagandist use of the works that promote an idealised view of home and gives a sense of meaning out of the chaos at the front. He argues that out of the trenches, soldiers recovering from war damage were given Jane Austen to read as bibliotherapy. It was seen as salubrious reading for the wounded and an aid to convalescence. Austen’s books were selected from a list of works compiled by Herbert Francis Brett-Smith (an Oxford history lecturer exempt from active military service) and thought to be beneficial reading for recuperating soldiers. We have little evidence, however, on how these works were used or what effect they had. We noted, however, that Austen’s works were conscripted to convince the recuperated soldiers to return to the war to fight for values worth defending . Inevitably those writing on this subject commented on Jane Austen’s lack of detail of Napoleonic wars in her novels. However, we’d argue that war intruded into her novels when necessary, such as the references to the Meryton camp, in Pride and Prejudice, and the naval families who were frequently introduced. Also, from our point of view, the argument that Austen was the literature of consolation denies the feisty reading of her work. The inner struggles of characters, that give the novels their power, were perhaps not appreciated by a superficial reading of her as escapism. Unfortunately, as far as we could research, there is no evidence to support the degree to which soldiers reflected on Austen nor is there any evidence to suggest what proportion of soldiers read Austen. Part of our meeting was devoted to discussing Rudyard Kipling’s short story “The Janeites” about a garrison of soldiers who form an allegiance based on their knowledge and understanding of Jane Austen’s novels. 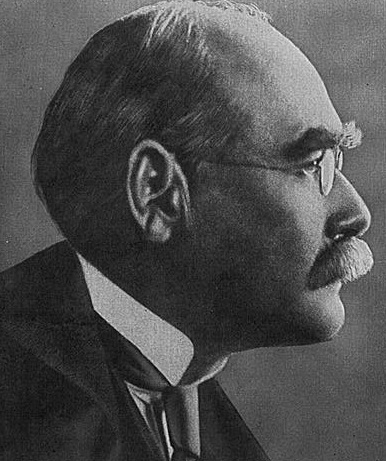 In Kipling’s story, the lone survivor of this group, now a hairdresser, tells its story during a regular cleaning session of a Masonic Lodge to which he belongs. He tells how this group cut across rank and social levels, how he had come to read all six books, and how all but he were killed in an horrific attack. He describes how weapons were named after Austen’s characters – with one gun being named after “Lady Catherine de Bugg“ and he asserts “there’s no one to touch Jane when you are in a tight place.” This story suggests that Jane was popular then and perhaps predicts the fandom that emerged later. “The Janeites“ was denounced by CS Lewis as a cunningly contrived story. The March meeting is this Saturday, March 16th at 1.30pm in the Friends’ Lounge of the National Library of Australia. The topic for discussion is ‘Jane in the trenches’. Why were Jane Austen’s novels read by soldiers in the trenches in World War 1? With an author who only published six novels, coming up with topics to discuss at our monthly meetings year after year is a bit of a challenge, but somehow we manage. One of our semi-regular topics involves looking at writers whom Jane Austen (1775-1817) read. And so it was that for the first meeting of this year we decided to look at Maria Edgeworth (1767-1849) who was during her heyday, which was also Sir Walter Scott’s, “the most celebrated and successful living English novelist”. She’s clearly a writer worthy of our investigation! Austen was one of her fans, writing to her niece Fanny that: “I have made up my mind to like no novels really but Miss Edgeworth’s, yours, and my own.” Edgeworth had mixed feelings about Austen, but did like some of her work, including Persuasion. Our plan was for each member to choose one of her books to read and then discuss at the meeting. There was no coordination, so some books were read by more than one member, and some members exceeded expectations by reading more than one book. It all made for a very interesting, if somewhat longer meeting than usual! Castle Rackrent has been read by more of us than any other, but for several of us that was some time ago so our memories were, let us say, a little vague. However, at least a couple had read it recently. 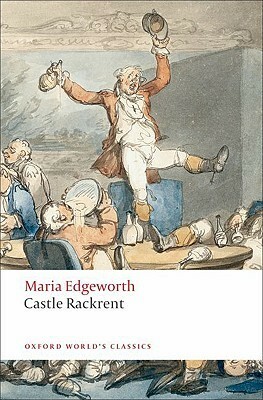 Its subject is a theme we see recur in Edgeworth, which is the mismanagement of estates by the Anglo-Irish aristocracy. We commented on the detail provided on the many ways in which landlords “rip off” their tenants. It’s a satire, and rather over-the-top to modern ears. Members commented on the use of a single voice – a steward – commenting on the events, and the English voice in the footnotes offering a different commentary. (Wikipedia suggests that the footnotes, glossary and introduction were added shortly before publication “to blunt the negative impact the Edgeworths feared the book might have on English enthusiasm for the Act of Union 1800.) A member wondered whether the role of the Editor voice influenced/prefigures Jane Austen’s use of commentary in her novels, but others thought it was part of the satire. It was also suggested that upholsterer character might anticipate a similar character (and associated commentary) in The absentee. Wigs were formerly used instead of brooms in Ireland for sweeping or dusting tables, stairs, etc. The Editor doubted the fact till he saw a labourer of the old school sweep down a flight of stairs with his wig; he afterwards put it on his head again with the utmost composure, and said, ” Oh, please your honour, it’s never a bit the worse. “…It is only Cecilia, or Camilla, or Belinda”; or, in short, only some work in which the greatest powers of the mind are displayed, in which the most thorough knowledge of human nature, the happiest delineation of its varieties, the liveliest effusions of wit and humour, are conveyed to the world in the best-chosen language. Belinda, said our member, has some similarities with Northanger Abbey in the idea of a young girl going into city, and is about who will she marry, but our member said it “wasn’t exactly a page-turner”. It’s somewhat didactic, convoluted, and features long philosophical conversations, but it does get exciting at the end. The plot uses gossip (particularly servants talking and sharing inaccurate information), and anonymous letters. There is also the stereotypical Jewish moneylender, and, interestingly, a coloured person, a man who is “almost perfect” our member says and nearly marries Belinda – in the first edition. In later editions of the novel the role of “coloured” characters is lessened. Belinda has an interesting publishing history. The novel contains some commentary on women, particularly in that Belinda is not necessarily being keen to marry. Our member saw some relationship to Austen’s Pride and prejudice. Our member chose Leonora primarily because her reading time was running out, and it’s shorter than Belinda and Helen, but it turned out to be a great choice (she thought!) It’s an epistolary novel, and moves away from the Anglo-Irish themes to an English-French one. It pits English common-sense, through Lady Leonora guided by her mother the Duchess, against French “sensibility”, through Olivia, an English woman who behaves like a French “coquette” under the guidance of her friend Gabrielle. It anticipates Jane Austen’s Sense and sensibility, but while Marianne’s “sensibility” is more teenage silliness, Olivia’s is selfish, self-centred (and she’s unlikely to change). The book critiques of this sort of over-dramatic, over-blown behaviour, and makes a case for steady love based on early passion developing into deep respect and friendship! Our member liked the use of letters to present multiple first person points-of-view, but found it took a little while to work out who was who. As well as being written in letters, the interception of letters is used to force the denouement. There is a double standard here in terms of acceptance of male philandering. Like Castle Rackrent, The absentee was read by a few members. It’s a sociopolitical novel which returns to the Anglo-Irish subject of absentee landlords and their effect on Irish workers, and about how the English take advantage of Irish hospitality. One suggested that it could have been written today by a precocious 12-year-old! One felt it was farcical but had interesting commentary on the abuse of others by wealthy people, and commented on the satire of interior decoration that she’d seen in Castle Rackrent. Another really enjoyed it, particularly for the discussion of what was happening in Ireland. Overall, the characters, as those in Edgeworth’s novels, tend to be black and white, the novel plot-driven, and the resolution predictable. Remember we can judge better by the conduct of people towards others than by their manner towards ourselves. the 1780 Gordon riots which aimed to end official discrimination of Catholics, and which are regarded still as London’s worst riots. The riots are also referred to in Northanger Abbey. the Jewish Naturalisation Act of 1753, which was repealed in 1754. The novel is presented as an autobiography of the (initially) anti-Semitic Harrington from the age of 5 yrs old. Our member described it as presenting, through that character of Harrington, an anatomy of prejudice. The novel is a romance, and like other Edgeworth novels has a lot of improbabilities. Helen was read by a couple of members. Like Belinda, it contains much longwinded philosophical commentary, and is didactic and moralistic. The plot concerns Helen, who is duped to the point that it threatens her marriage. The novel is about truth and truthfulness, but also, one member felt, about the possibility of redemption. John Mullan, who wrote the introduction to our members’ edition, says its theme is the way lies compound, the ramifications of deceit. Mullan also suggests that the character of Lady Davenant is Edgeworth’s voice, but she’s very longwinded complained our readers! Mullan also suggests that there is some character development in the novel. Overall, our members found it hard-going. They found it very slow for the first half, like Belinda. It contains some of the techniques we saw in earlier novels – the use of letters to move the plot on, the role of gossip. (In both Belinda and Helen, French servants steal letters, which, given Leonora’s theme too, suggests an ongoing anti-French sentiment.) The characters are black and white, with the men, in particular, being unbelievable. Our members did find things to enjoy though, including a wonderful description of “dirty” London and its poisonous atmosphere. It also has a dinner party scene which blows up, something you don’t see in Austen. Our members loved the satire on the gentry’s dinner parties! An underlying question in the novel is “can a woman love more than once?” but why is that question not asked of men, our member asked? 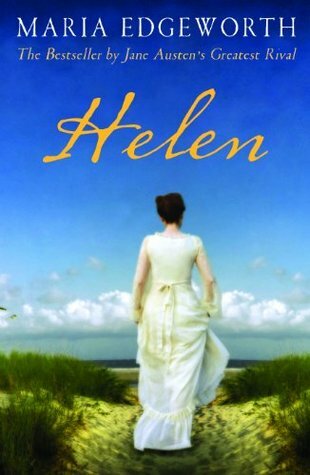 Helen can be seen to mark the shift from the 18th century to the Victorian era. We felt that Edgeworth was more didactic than Austen, with more black and white characters. Helen, which was written nearly two decades after Persuasion, shows no real evidence of being influenced by Austen’s more subtle, realistic style and approach. We concluded as always with a quiz (quotes relating to Love and Marriage) and our guess-the-quote challenge. May: Discuss Jane Austen’s friends and acquaintances, their role in her life and how her relationship with them illuminates our understanding of her and her work. The first meeting of 2019 is this Saturday, February 16th at 1.30pm in the Friends’ Lounge of the National Library. 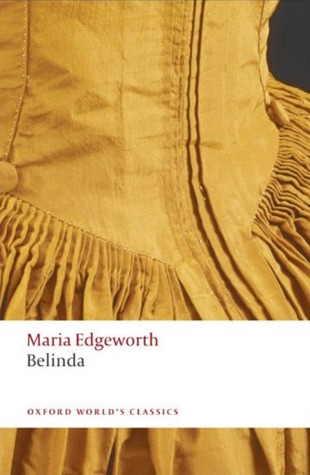 We will be discussing Maria Edgeworth’s novels. Janeites generally regard Austen sequels with ambivalence if not hostility. 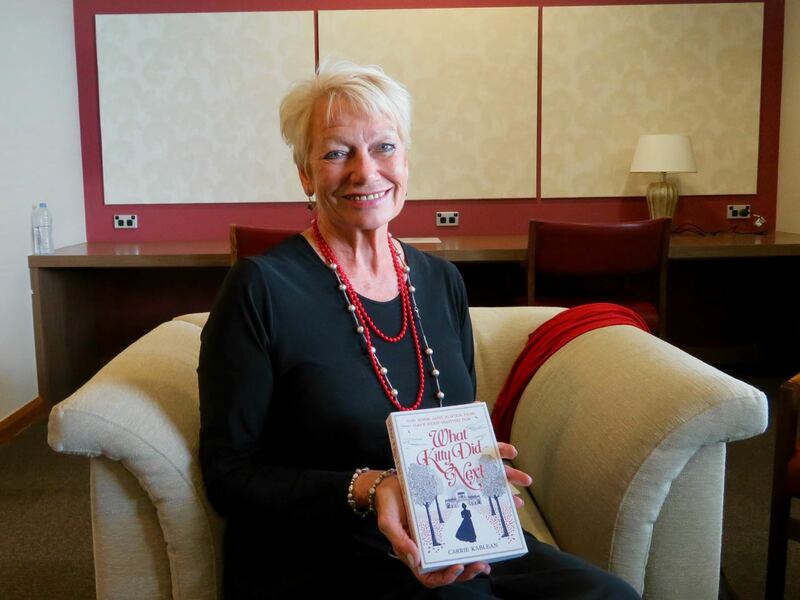 However a meeting with an Australian writer who has recently published a sequel to Pride and Prejudice proved to be informative, entertaining and exhilarating. A lifelong journalist and editor, Carrie Kablean, felt very strongly that Kitty was badly miscast in both the 1995 television and 2001 movie versions of the book. Journalism work was drying up so Carrie decided upon a bold experimental project. She wanted to give Kitty a life. “She couldn’t be that stupid, after all, she was a Bennet,” she pointed out. Having a teenage daughter of a similar age gave her further material and understanding. She was determined to make Kitty feel confident within herself. She wanted to rescue her. However, Carrie also realised would be “standing on the shoulders of a giant.” She created a back story, based on the little information we have about Kitty, to develop her Kitty character. And she determined to keep the tone of Austen’s work, including some kind of romantic interest. A crisis would occur two thirds of the way through her novel. Carrie’s only starting point was that she realised that Kitty and Georgiana Darcy were a similar age, so she decided it would be good to get them together so that they could become best friends. Carrie believed this to be feasible as they had much in common both being emotionally lonely, shy and withdrawn. Her discovery that London in 1813 to 1814 experienced a particularly dire winter provided the backdrop for part of the story. The relevant families visiting London at about the same time were confined inside due to extremely heavy fogs lasting for two weeks followed by heavy snowfalls. Part of the Thames froze over between Blackfriars and London Bridge which enabled a traditional Frost Fair to be held on the ice. However, in her story, this could only happen after an elephant had been employed to test the strength of the ice cover, providing a point of excitement for Kitty and the Gardiner children. Initially Kitty’s musical talent is encouraged in the Bingley London home with Mr Bingley taking her to concerts. He also engaged a music teacher for her who coincidentally tutors Miss Darcy. This teacher helps to inspire her confidence in her abilities. Eventually invited to Pemberley, her friendship with Georgiana Darcy is cemented. However a crisis occurs for which she gets unfairly accused. Not surprisingly, Lydia is involved in the background. We won’t give the plot away – but remember that this in an Austen-inspired story so it all works out in the end. What Kitty Did Next by Carrie Kablean reveals a very thorough and deep knowledge of Jane Austen’s work and life. Convincing characters play out an entirely original plot. Carrie also shared a bit about her publishing journey. She came close to finding an Australian publisher, but in the end it fell through, and she was able to find a hybrid publisher, Red Door Publishing, in England. She is currently working hard on marketing her book, as authors with independent and hybrid publishers need to do, while also working on her next work of historical fiction. It is also set in Georgian England, and springs from a family she imagines for What Kitty did next, but it will, she said, be a bit darker than What Kitty did next. The meeting concluded with our regular secret quote and quiz, and a reminder about our Jane’s birthday and Xmas lunch on Saturday 15 December. The November Meeting is this Saturday, 17th November, at 1.30pm in the Friends’ Lounge of the National Library. Carrie Kablean will be talking about her novel, What Kitty did Next.